Who did say that the four reactor meltdowns at Fukushima Daiichi were a wake-up call? It was maybe a wake-up call and a worry for some tree huggers but not for the mainstream media consumer and for sure not for the pundits and planners, the decision makers and power brokers of the money elite (working behind the curtain) and their puppets (the politicians in front of the curtain). The planners continued planning new plants, the power brokers continued to cut deals, the puppets kept a low profile and didn’t mention nuclear energy for half a year. The propagandists did not even have to increase the amount of bribes because mainstream media is solidly controlled by the money elite and every journalist who wants to have some kind of a career knows very well what he or she has to write. 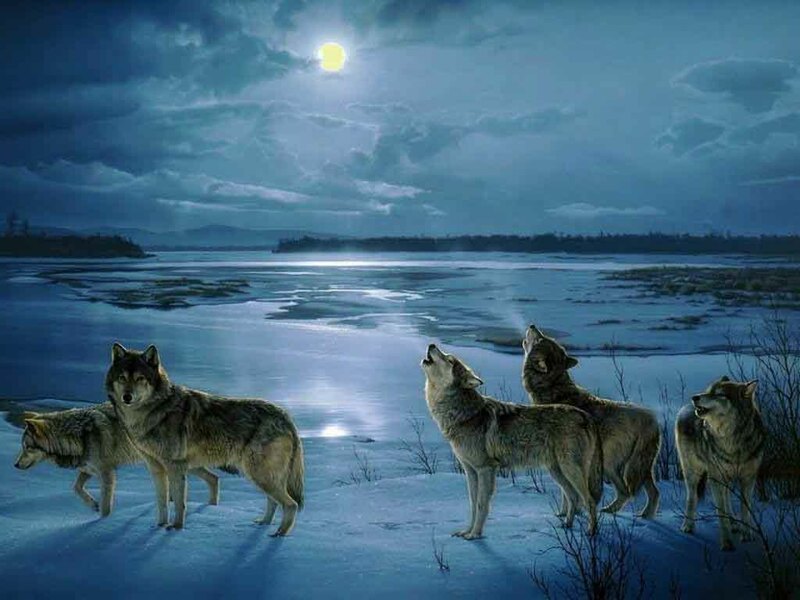 All appeals, petitions, protests, sit-ins, occupations, accompanied by thousands of inspirational, well-meant and heartfelt articles in the alternative media and in the blogosphere, as well as millions of bold, defiant, rebellious Twitter and Facebook messages were as consequential as a wolf packs concerted howling to the moon. This text here (my personal howling with the wolves) is published on one of 160 million public blogs and will therefore be inconsequential as well, but I write it nevertheless and hope, that some readers will amplify it and spread the word beyond my small readership. On February 17, UK and France signed a nuclear energy agreement at a summit between Prime Minister David Cameron and President Nicolas Sarkozy in Paris, intended to strengthen co-operation in the development of civil nuclear energy. France’s state-owned nuclear reactor maker Areva and Britain’s Rolls Royce signed a 100 million pound (120 million Euro) deal at the summit. Under the terms of the deal, Rolls Royce will supply equipment and engineering services for the construction of Britain’s next new nuclear reactor at Hinkley Point in Somerset, led by Areva’s partner EDF. Areva will supply the core of the reactors. The pact has an option to be extended to 400 million pounds (480 million Euro) if EDF plans to go ahead with its proposed four new nuclear reactors in Britain. The British government said the atomic agreement reiterated the UK’s commitment to nuclear energy “as part of a diversified energy mix”. This deal is a desperately needed boost for Areva, which in December announced a 1.6 billion Euro loss and plans to cut 2,000 jobs, reduce investments by 34 percent and sell off assets. Last June, the British government confirmed a list of eight sites it deems suitable for new power stations till 2025, all of which are adjacent to existing nuclear sites. The sites are: Bradwell, Essex; Hartlepool; Heysham, Lancashire; Hinkley Point, Somerset; Oldbury, Gloucestershire; Sellafield, Cumbria; Sizewell, Suffolk; and Wylfa, Anglesey. The UK currently only produces 16 percent of its energy in nuclear reactors, but hopes to increase this figure significantly. Britain’s Prime Minister David Cameron said at the summit “As two great civil nuclear nations, we will combine our expertise to strengthen industrial partnership, improve nuclear safety and create jobs at home.” On February 9, the US NRC (Nuclear Regulatory Commission) approved the combined construction and operating license application (COLA) for Southern Company’s Plant Vogtle near Augusta, Georgia, clearing the way for adding two AP1000 nuclear reactors to the two existing units. This will be the first nuclear reactors to be built in the USA since 1978. The AP1000 reactor design was just approved by the NRC in December, over the objections of numerous scientists and engineers, who saw claims of innovation insufficient to counter the inherent dangers of Pressurized Water Reactors. Many of the so called “improvements” to the AP1000 look more like ways to cut construction costs. Even so, a single AP1000 will cost between 8 and14 billion US$. The Obama administration has pledged 8.33 billion US$ in federal loan guarantees to cover construction of the Georgia reactors, since without government backup no private money would be invested in such a high-cost, high-risk project. The two existing Vogtle reactors took over 15 years to complete, were 1,200 percent over budget, and resulted in an enormous rate hike for Georgia’s electricity consumers. SACE (Southern Alliance for Clean Energy) filed a FOIA (Freedom of Information Act) request about the details of the deal but after two years of stonewalling in which the administration presented just a few heavily censored documents the only fact that could be unearthed is, that the risks for Southern Company are minuscule as it is only promising to pay a token credit subsidy fee of what could be as little as 0.5 to 1.5 percent of the total loan principal. The Vogtle plants will not be the last nuclear projects, There are plans for over twenty new reactors and 12 combined construction and operating license applications for these are under review. 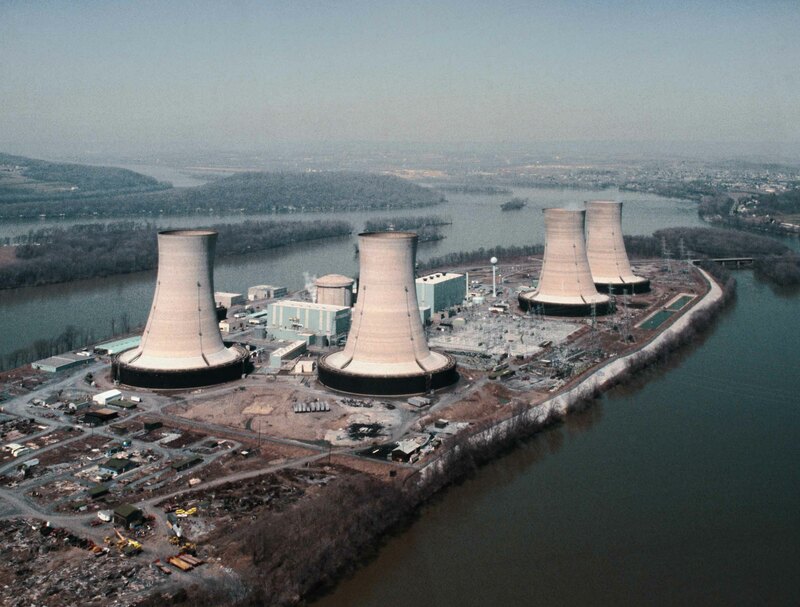 In addition to that 60 old reactors have been granted license renewals which extend their operating lives from the original 40 up to 60 years, and operators of most other reactors are expected to apply for similar extensions. The nuclear budget of the US DoE (Department of Energy) includes the authorization of an additional 36 billion US$ in federal loan guarantees. Together with existing loan guarantee authorizations for 18.5 billion US$, this would be enough to support the construction of 9 to 13 new nuclear reactors. The budget also includes support for nuclear energy research and development, including a 97 million US$ request to support research into small modular nuclear reactors. There are only a few countries where nuclear power is in retreat (Germany, Switzerland, Japan), many nations intend to start or increase nuclear programs. Most notably and most consequential: China is planning an increase in nuclear capacity up to 80 GWe by 2020, India wants to add 20 to 30 new reactors by 2020. 430 plants are operating worldwide, 60 new reactors are in construction, some 140 are planned to come online during the next ten years, and over two hundred projects are in discussion. The International Atomic Energy Agency in its 2010 report significantly increased the projection of world nuclear generating capacity. It anticipated at least 73 GWe new capacity by 2020, and then 546 to 803 GWe in place in 2030 — much more than previously projected, and 44 to 113 percent more than the 376 GWe actually operating now. OECD estimates range up to 816 GWe in 2030. The changed predictions are based on specific plans and actions in a number of countries, including China, India, Russia, Finland, and France. The IAEA projections would give nuclear power a 13.6 to 14.6 percent share in global electricity production in 2020, and 12.6 to 16 percent in 2030. The nuclear industry is confident, one could even say, jubilant. Fukushima Daiichi was not a wake-up call for the public and not a significant boost for the enemies of atomic energy. 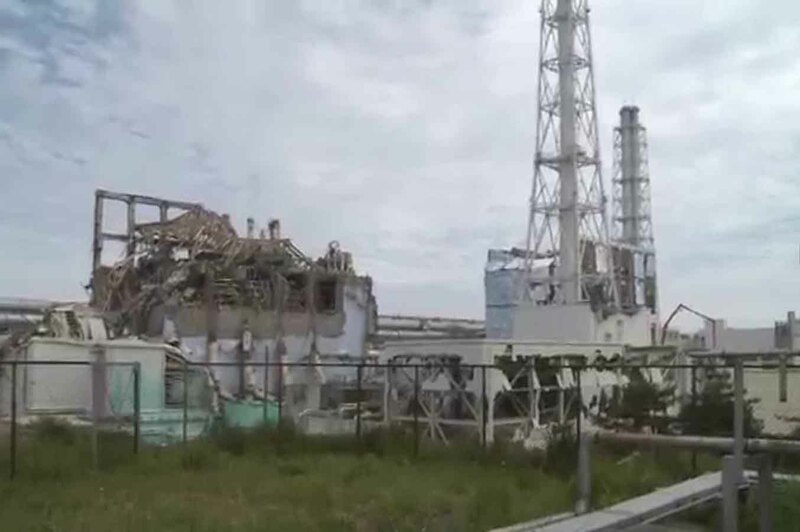 Whatever the ecological consequences may be, for the industry the Fukushima meltdowns were not a severe impediment, they were only a minor bump in the road. There is growing evidence that the traditional ways of voicing public dissent doesn’t have any impact. There is growing evidence that the appeals, petitions, protests, sit-ins, and occupations are a waste of time and energy. The political system works well for a tiny minority of corrupt and reckless people (the plutocrats), it is not working in favor of the rest of humanity. The present political system harms humans and their fellow animals, the system is an imminent danger to all life on the planet. The present system seems incapable of adjusting to the challenges of habitat destruction, mass extinction of species, increasing chemical and radioactive contamination, climate change, and overpopulation. Urgent action would be needed to limit or alleviate looming catastrophes but nothing sensible is done — at least not at government levels. If anything is done at all, the steps lead into the wrong direction. The only answer to the current ecological and social crisis, that politicians of all colors are able to find is the resurrection of nuclear power, proven in six decades as a dangerous, costly, and inefficient technology. Consequently the only conclusion to be drawn from their inadequacy is, that anything short of a complete demolition of the old system and its replacement by new and very different structures, that anything else than a conscientious and systematic preparations for such a process is useless and a waste of time. We live in exiting times and we live in a constant changing environment. This means that new business opportunities emerge every day for the truly creative and innovative entrepreneur who is on top of the game and who is able to take the chances as they come. Things are changing at an increasingly fast pace and only the ones who are alert and always on guard will succeed, the procrastinators will lose out. Creating a “certified low radioactivity” brand of food to be sold in supermarkets right beside the organic food. New advertising campaigns for double-fortified (iodized) salt. Also breads and crackers, desserts and snacks, cheeses and many other kinds of manufactured food will benefit from advertising its high amount of iodized salt. Offering new car models with special lead shielding. Offering new lines of garments with incorporated radiation shielding. Lead aprons and lead gloves are already available but until now not widely used and only for sale in special shops. Offering special “Low Radioactivity” menus and “High Iodine” menus in restaurants. Setting up factories in Antarctica or at alpine glaciers to harvest radioactivity free water for food and drink manufacturers. Creating new varieties of bottled water from “1000 year old glacier ice” or “Antarctica ice”. Geiger counters are in short supply in most countries and it is for sure a good move to increase production and also develop new models. For instance a “Volks-Geiger counter” which does not have all the bells and whistles of advanced models but nevertheless allows accurate measurements, that show which food is safe to eat and when it is appropriate to leave the house. Such a Volk-Geiger counter could be sold in big numbers at a reasonable price. Offering Geiger kits for electronic hobbyists in stores like RadioShack or Maplin Electronics. Developing and selling Geiger counter add-ons for iPods, iPads, and iPhones, special edition cell phones with integrated Geiger counters, and USB-Geiger counters for universal use with laptops. Selling weather stations which include a Geiger counter in addition to thermometer, barometer and hygrometer. Offering decontamination toolsets in hardware stores. Founding specialized companies for refurbishing and decontaminating. Founding educational institutions which offer training for “certified decontamination experts” and courses for “Low Radioactivity Live Style” counselors. Launching a new weekly “Nuclear Times” in both online and print editions. Launching a “Weather and Radioactivity Channel”. Launching a new entertainment company under the motto: “Better Radioactive Than Radiopassive”. Or alternatively: “Carefree, Scare-free Radioactivity”.